It was a busy year for meteorologists keeping up with weather events. Tropical Storm Ana made landfall in early May. Historically, only one other tropical storm has ever hit the United States at an earlier point in a given year. San Diego got wetter than ever in July when the city received 5,700 percent of its usual rainfall for the month. That stat is only slightly less impressive when you find out it only adds up to 1.71 inches of rain the entire month. Download Storm Shield for weather alerts for your exact location. 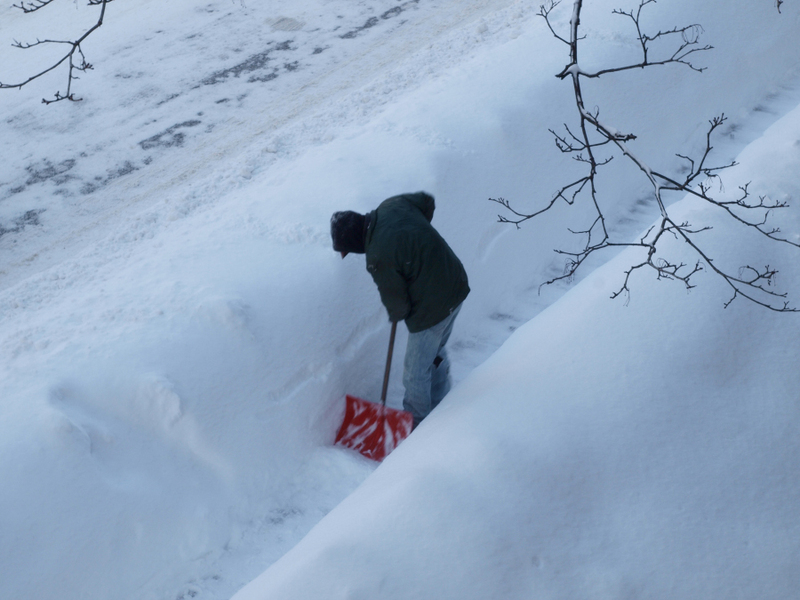 Boston's snowfall for the season reached 108.6 inches by March 15. That surpassed the old record by one inch. Almost two-thirds of that snow fell during February, when it was more unusual to see a day without snowfall than it was to see the flakes flying. 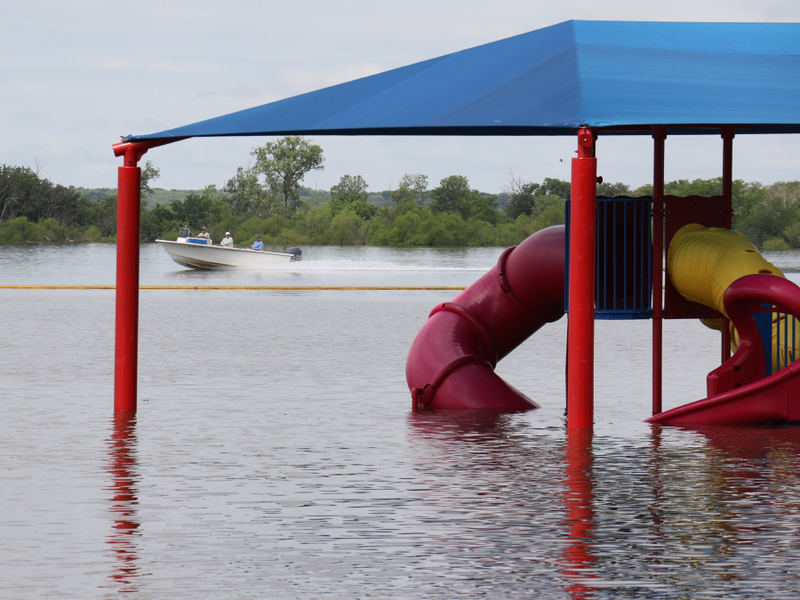 May was the wettest month on record across Texas. A total of 8.93 inches of rain fell across the state, beating the previous record wettest May — in 1914 — by 2.31 inches and the previous wettest month — June 2006 — by 2.27 inches. All of this rain caused flooding, and it essentially ended the multi-year drought that's been plaguing the Lone Star State since 2011. 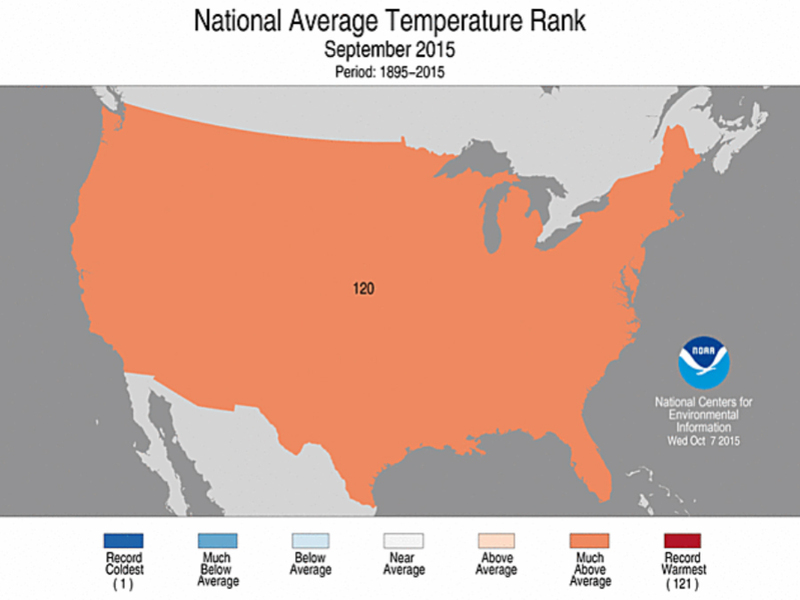 The national average temperature was hotter than usual every month this year except for February. Some states and regions did see cooler than average conditions for long stretches, but overall, as a country, the entire U.S. was warmer overall — by a lot in some cases. The largest wildfire on record in Washington state burned more than 300,000 acres and destroyed 176 homes. The fire burned for nearly a month. 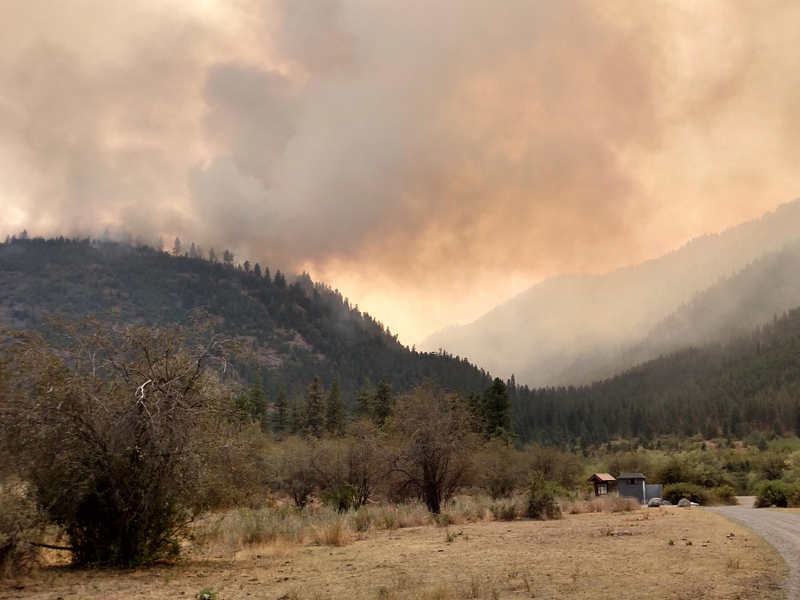 It had been a warm, dry summer in that part of the country, so when lightning struck in the middle of August, the fire continued through the middle of September. 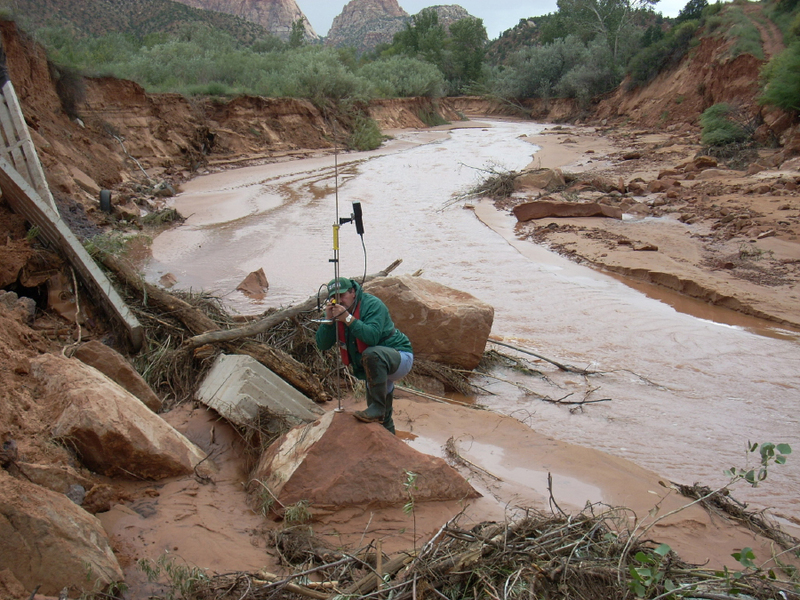 Twenty people died from flash flooding in southern Utah, when remnants of Hurricane Linda moved into the Southwest in mid-September. Linda wasn't the only Pacific hurricane to make its way into the Southwest United States, but it caused the most deaths. This year's Pacific hurricane season was the second-most active on record and included Hurricane Patricia, the most intense tropical cyclone ever recorded in the Western Hemisphere. 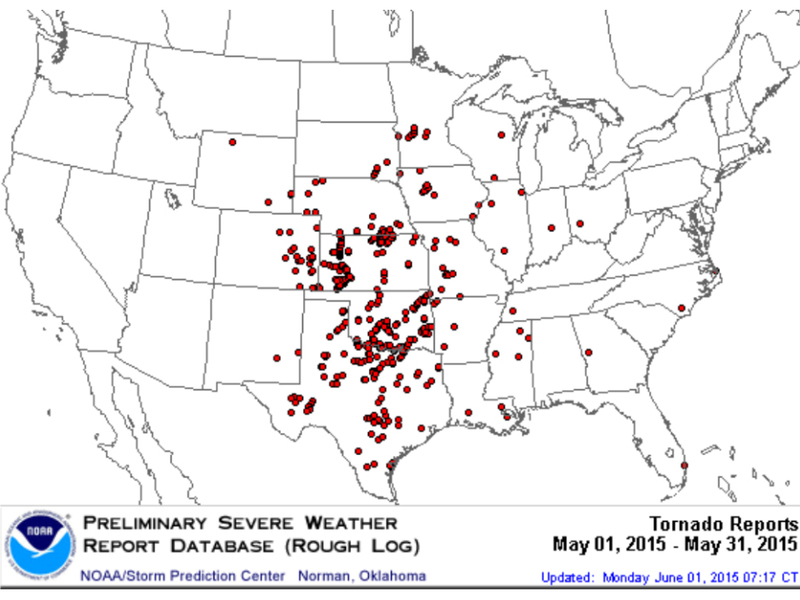 More than 400 tornadoes were reported during the month of May. That's the most tornadoes in a single month since April 2011. But overall, tornado activity across the country was down for the year. 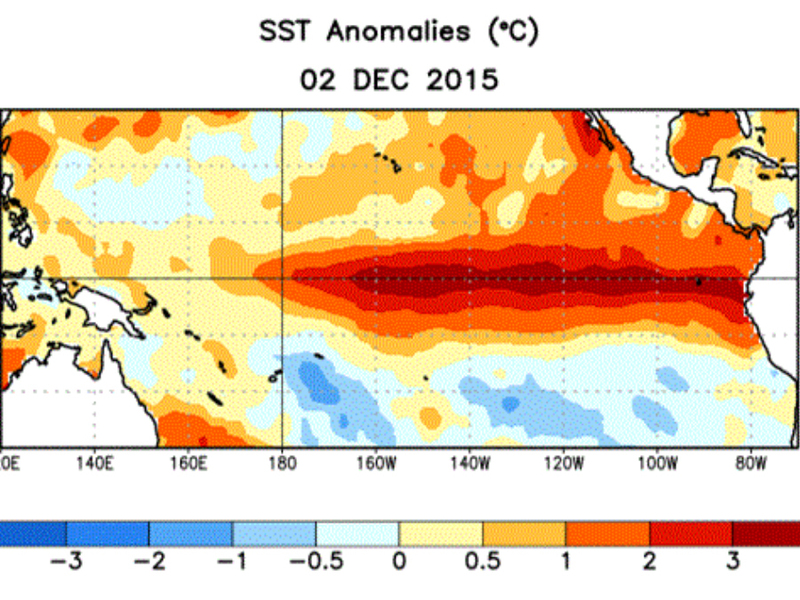 With every update of this El Niño, it got bigger and stronger. It's already in the running for one of the top-three most intense El Niño's in our record books, competing with 1997-98 and 1982-83. Also, it's not over yet, so our weather pattern will continue to be driven by this weather pattern well into 2016, already putting it in the running for next year's list of significant weather events.